I think we all want to stand-out from the crowd, right? That's why I want to share with some of the best ways how you can pull off colored sequins this year. Let it shine, let it be bright and glamour! No matter if it's an evening or day, you need something fresh and voguish, like sequins! Say wow to this gorgeous T-shirt in neon blue, green and violet sequins, you can pair it with ripped cuffed boyfriends and black pointed-toe heels. Of course, you might say that sequins are made for wearing at bachelorette parties, New Year's eves, pageant queens. Some say sequins are made only for those who are still living in 1980's. The jazzy and shiny look frightens so many ladies, that's why if you are one of those girls who has balls, then you might be interested in wearing colored sequins in your everyday life. 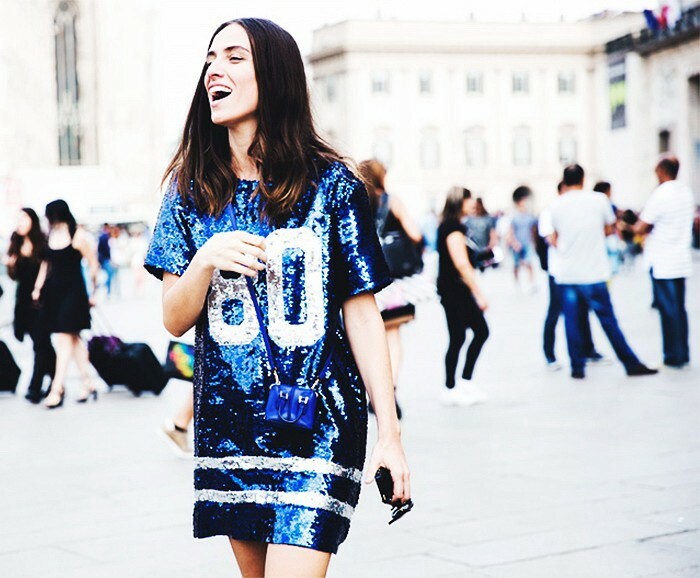 Yep, sequins can look extremely chic at any time and any place. So, you better check out these images for your one and only inspiration. 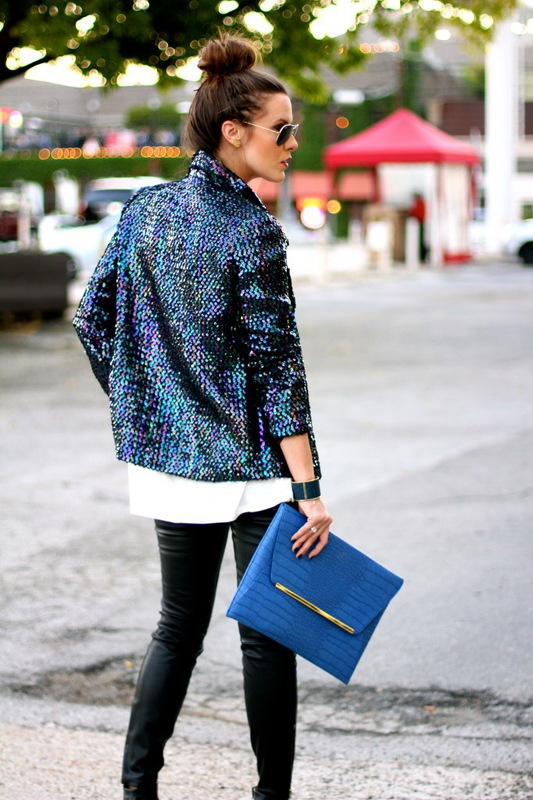 I love to see colored sequins appearing on casual silhouettes. I see lots of fashionistas lately rocking sequins during the daylight. These are the best look-at-me clothes what can be paired with anything you want, starting from faded denim to neutral knits and cottons. If you want to know how to NOT looking like a disco ball, then you are more than welcomed to scroll down this gallery and everything by yourself. By the way, let me know your thoughts about sequins, like it or not?